Choosing paint brushes isn't always an easy decision. After all, different effects require different tools so it can be difficult to know which to use. 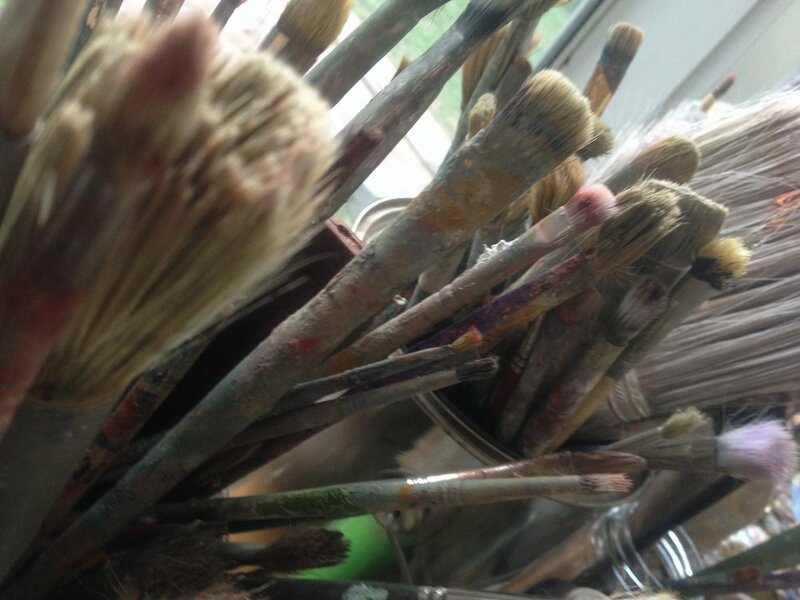 To simplify the process of choosing my paint brushes, I make two major distinctions: the type of hair the paint brush is made of and the shape. Still struggling with which paint brush to use? If I was on a tight budget and could only use two or three brushes, these are the brushes I would use. A size 4-6 flat (A) will accomplish many painting tasks and a size 2-3 round (B) will complement the flat well. I would also add a slightly larger 6-8 flat (C) for covering larger areas quickly. Of course, being an abstract painter who works large scale, a two and 3 inch brush is a must for me. Much of this article originally appeared in ImagineFX bookazine How to Paint & Draw. I have added and subtracted here and there to tailor the information to meet the needs of most painters, beginningg and experienced.